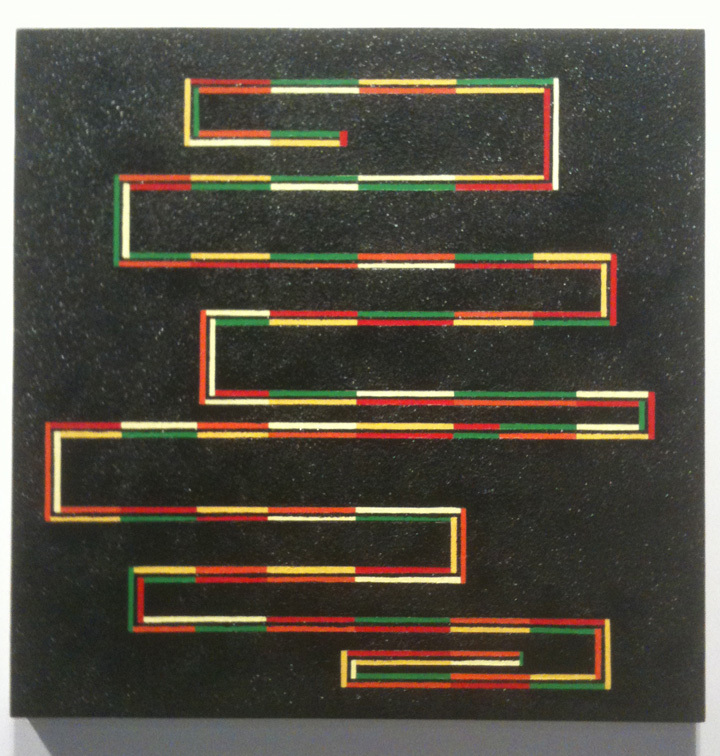 Rico Gatson, a group of small paintings from 2011 at Exit Art. 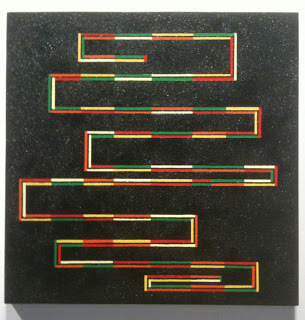 Acrylic paint on wood with glitter, each about 18″ square. 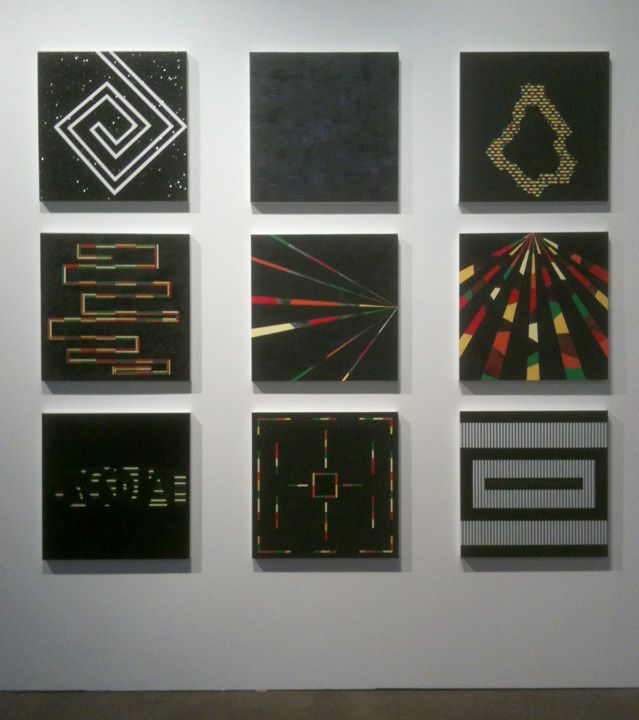 Top row: Untitled (Crepuscule), Untitled (Sam Cooke), Untitled (Nigeria). 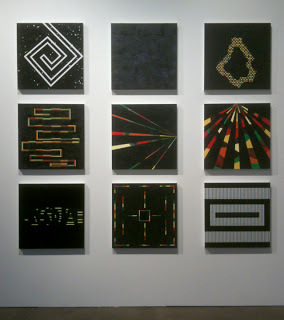 Middle row: Untitled (Time Travel), Untitled (Supernova), Untitled (Starburst). Bottom Row: Untitled (Basquiat), Untitled (Site), Untitled (Portal). 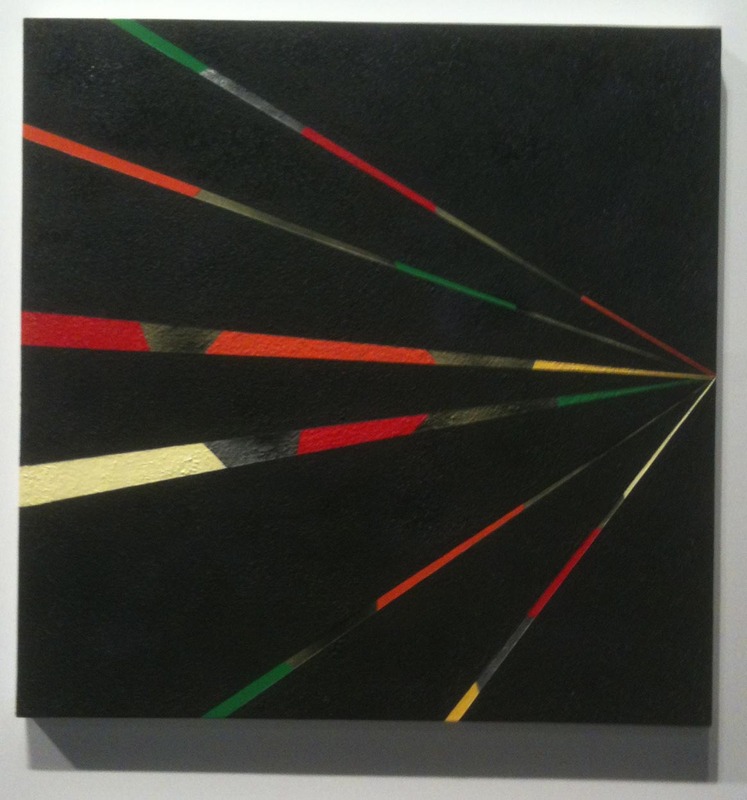 Rico Gatson, “Untitled(Starburst),” 2011, Acrylic paint, glitter, wood panel. 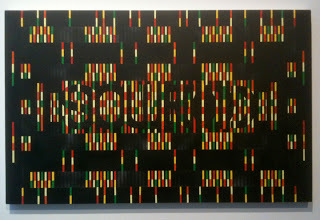 Rico Gatson, “Unititled (Time Travel),” 2011. Acrylic paint, glitter, wood panel. 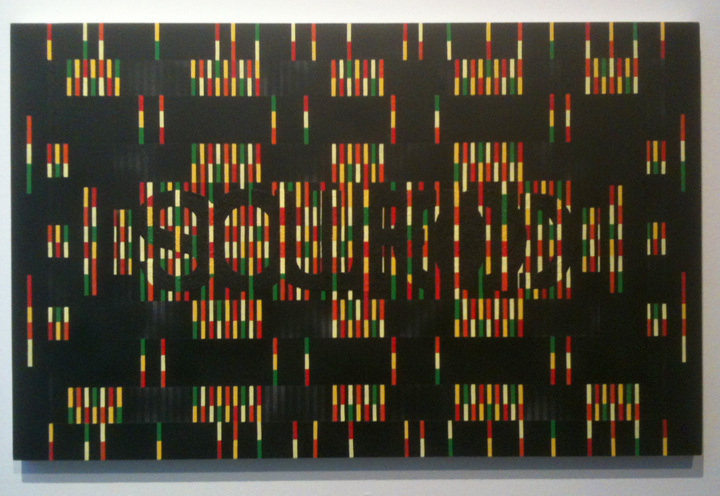 Rico Gatson, “Soul Food,” 2011, acrylic on wood panel. Rico Gatson, “Magic Stick #11,” 2011, acrylic paint on wood. 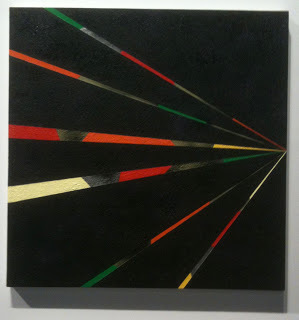 I agree with Howard that the new paintings are among Gatson’s best. 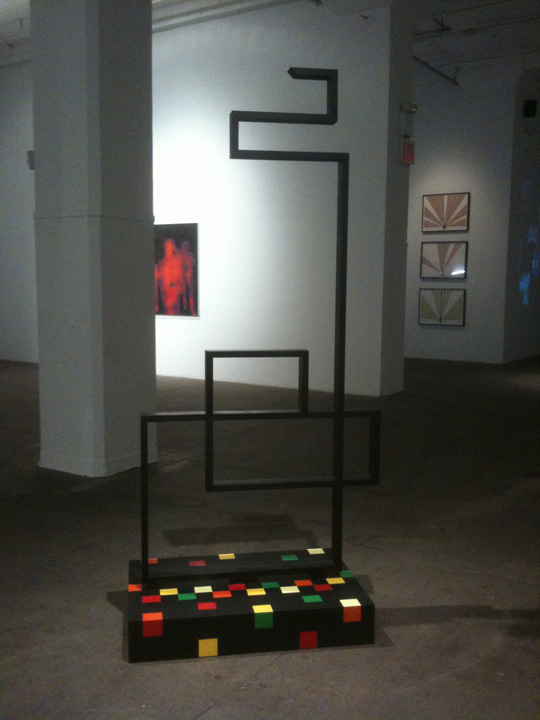 “Rico Gatson: Three Trips Around The Block,” organized by Exit Art and Ronald Feldman Fine Art. Exit Art, New York, NY. Through November 23, 2011.